William Samuel Symonds (1818-1887), also known as W. S. S., was an English geologist. He was appointed curate of Offenham, near Evesham in 1843, and two years later he was presented to the living of Pendock in Worcestershire, where he remained until 1877. While at Offenham he became acquainted with HE Strickland and from him developed an interest in natural history and geology that consumed him from that point. He was one of the founders of the Woolhope Naturalists' Field Club (1851) and of the Malvern Naturalists' Field Club (1853), and was an active member of the Cotteswold Field Club and other local societies. In 1858 he edited an edition of Hugh Miller's Cruise of the "Betsey." 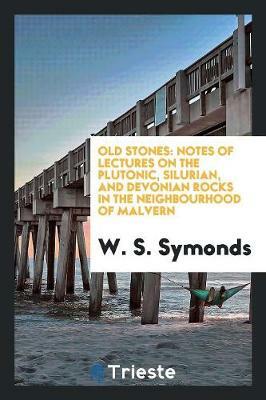 His principal work was Records of the Rocks (1872). 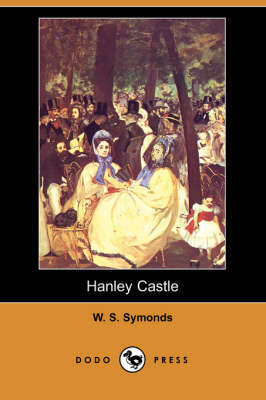 He was author of Stones of the Valley (1857), Old Bones; or, Notes for Young Naturalists (1859), and other popular works including historical romances such as Malvern Chase (1881) and Hanley Castle (1883). Buy Malvern Chase (Dodo Press) by W S Symonds from Australia's Online Independent Bookstore, Boomerang Books. 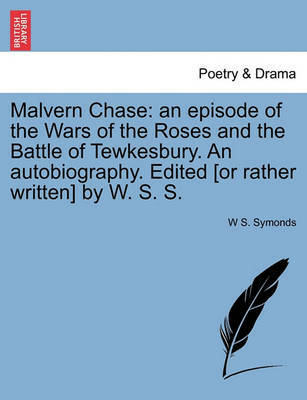 Malvern Chase: An Episode of the Wars of the Roses and the Battle of Tewkesbury. an Autobiography. 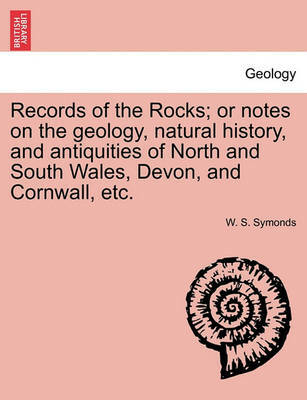 Edited [Or Rather Written] by W. S. S.
Records of the Rocks; Or Notes on the Geology, Natural History, and Antiquities of North and South Wales, Devon, and Cornwall, Etc.